Nowadays lots of cooling control and management devices are made. But not all of them are highly functional and can meet requirements of hard-to-please users. Among all of the controllers capable of not just fan controlling there are two most popular devices — Aqua Computer Aquaero and mCubed T-Balancer. To answer all questions needed to make the right choice, aquatuning.de had sent me both controllers for testing. Because of their huge amount of available options I decided to make a review for each of the controller provided. And only then I′ll make a comparative review of those two. So let′s start with Aquaero review. 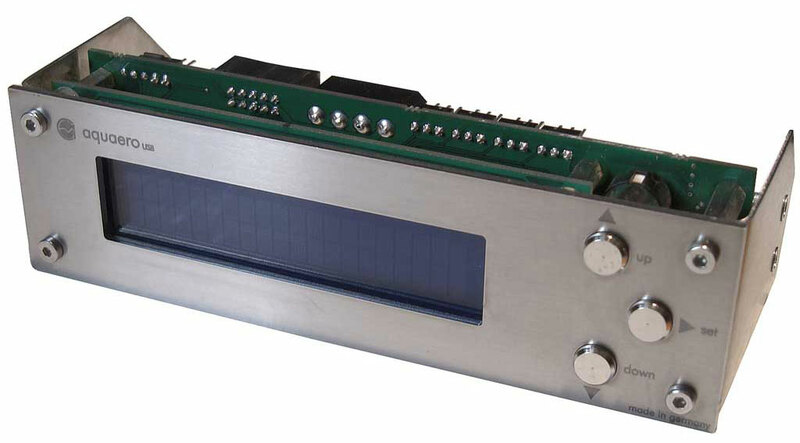 This device lets you control fans in reference with temperatures in control points, as well as it can be used to create supervision and control complex for watercooling systems (WCS), that can eve shut down PC in case of a system crash.